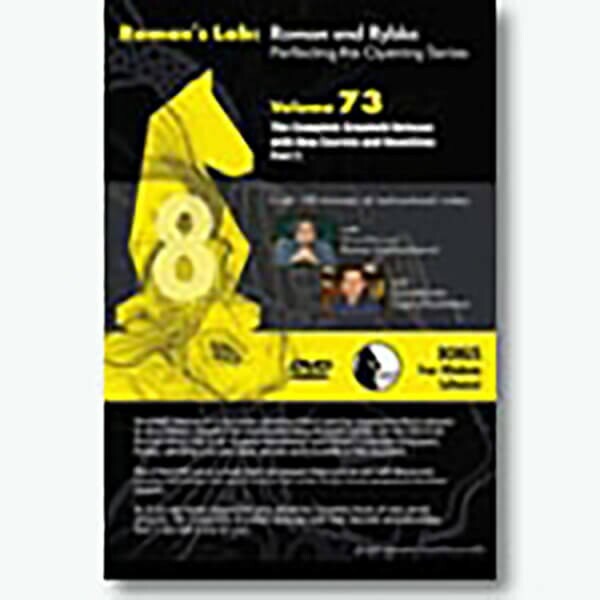 Part of the Roman and Rybka, Perfecting the Opening Series by Grandmaster Roman Dzindzichashvili and Grandmaster Eugene Perelshteyn, who use the world computer champion Rybka to bring you new lines, secrets and novelties in the Grunfeld. The Grunfeld is a dynamic opening that is used by aggressive players with Black to steal Whites initiative by counterattacking its pawn center. This volume is the second volume of a two-volume DVD set. The set is a must for players who want to win with Black, as well as players with White who don't want to fall victim to the newly prepared Grunfeld players. If you like sharp aggressive play aided by countless hours of new secret analysis, The Complete Grunfeld Defense with New Secrets & Novelties, Part 1 and 2, is for you.